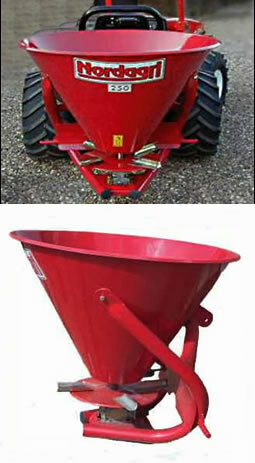 Agrotechnomarket.com - Seed spreaders or drop spreaders are push-powered workhorses that share many features in common. At the heart of both is a hopper with adjustable holes in the bottom. 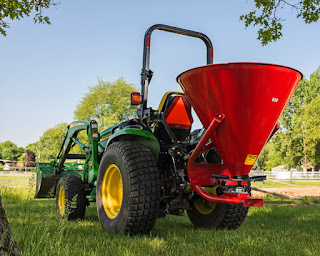 A gauge mounted on the spreader's handlebar allows you to accurately set the size of these holes (following the recommended setting listed on many packages of lawn products), allowing the proper volume of material to uniformly exit the hopper. The following are 4 best models of seed spreaders. 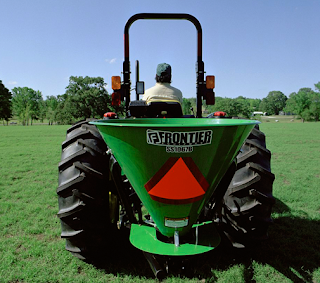 Versatile and easy-to-use, Frontier Broadcast Spreaders distribute seed, lime, or fertilizer up to 49 ft. (14.9 m) wide. THIS UNIT. SALT REQUIRES AGITATOR - The application of fertilizer to your pasture in small amounts throughout the year can more than double the potential volume of grazing or hay. There is also often the need to to broadcast grass seed onto bare ground, or to improve the general condition of pasture. The quickest and most cost effective method to broadcast seeds or fertilizer is to use a spinner broadcaster. This is a low cost implement which can be tractor mounted and driven by the PTO. A light harrow can be trailed at the same time as using this implement to mark the route to ensure accurate spreading. These seed spreaders are ideal for broadcasting most types of fertilizer, seeds and also materials such as sand and salt for icey conditions. A balancing system is fitted to either spread more to one side or the centre. The ABI Broadcast Spreader is available in PTO-driven models for tractor. 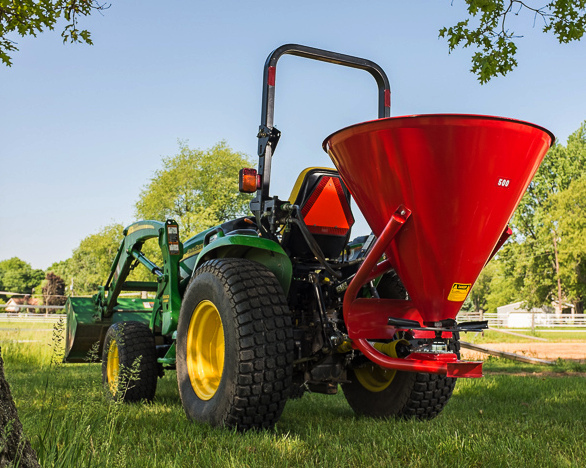 These seed spreaders are ideal for spreading seed, lime, and fertilizer on gardens, wildlife food plots, pastures, and lawns. They are also useful in the winter time for spreading salt on driveways and parking areas. The seamless one-piece steel hooper provides strength for heavy loads and spreads up to 46' with directional spreading available. The PTO spreaders even include an in-hopper agitator. Each spreader includes an application rate decal adhered to the spreader, removing any guess-work while out at the site. The levers on the unit allow for adjustments to vary application rates based on material. Lower 3-point mounting pins included. Upper pin and top link sold separately. 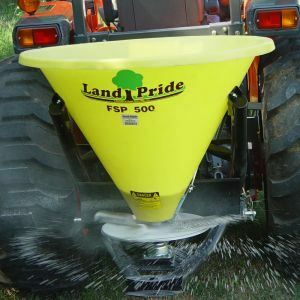 2 Responses to "4 Best Models of Seed Spreaders"
Our selection of salt spreaders consists of something for everyone, Best Spreader Here from the homeowner right upwards to county and city maintenance sections.